You’ve found the perfect home and you’re ready to take the plunge. But what does all that technical jargon mean? Understanding the different types of property…. What is a Torrens TitLE? Torrens Title is the most common type of land division found in South Australia. A Torrens Title gives the owner the most autonomy and independence. The owner is fully responsible for the ‘allotment’: the land, the building, gardens, driveways, paths and services such as water and sewerage. You will generally be able to repaint and improve or change the property to suit you, subject to relevant planning and development requirements. 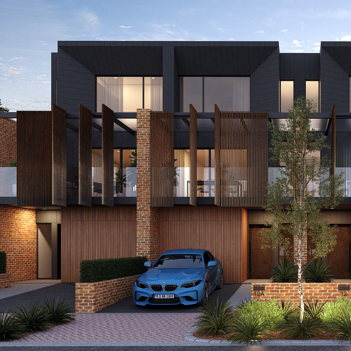 For this reason, Torrens Title is considered by many to be the most desirable. Apart from boundary fences and party walls, there are no common areas shared with neighbours and therefore, no costs associated with insurance and upkeep of those areas. You can also rent it freely if you want to. On the downside, you need to be fully responsible for everything. Some people find this becomes a more daunting prospect as they age and it can be less convenient if the property is a rental and the owner lives interstate. What is a Community Title? A Community Title is where at least one common area is shared by two or more lots. This could be a driveway, a garden or shared services. 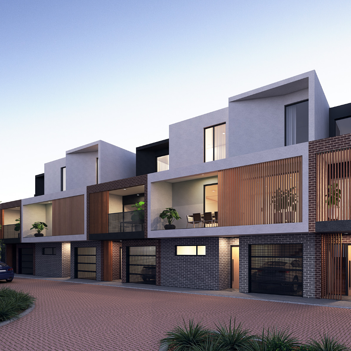 We are seeing more Community Titles in South Australia as more developments take shape. But it can also be used for smaller ‘two on a block’ development types. The most common type of Community Title you will see is the Community Scheme type. The Community Scheme Title is similar to the Torrens Titles, except there is something that is shared, such as a water meter, driveway or garden. These properties are typically standalone dwellings. In the case of a garden, you will usually be required to contribute to its upkeep via an annual fee (paid quarterly). There isn’t a sinking fund or administration fee like apartment buildings. This annual fee also includes insurance over the common areas like the garden, but also driveways or water meters. This whole process is managed by either the owners themselves or, if you’re lucky, a Body Corporate who does all the administration for you. Community Titles come with a set of By-Laws that explain what is the common property exactly, what the annual fee is, and other associated items such as minimum rental terms or maximum number of pets. This is purely to benefit the owners, preventing incidents where you live next to rowdy Air BNB rentals or a neighbour with 50 large and noisy dogs! Community Titles can be convenient for many with less direct involvement in keeping the property and gardens maintained. Make sure you understand the pros and cons of Community Titled properties and how it works in with your lifestyle. What is Available at Third Avenue? What are the common areas: The road to access the properties is shared. The beautifully landscaped pocket parks and communal green spaces are also shared amongst residents. Pets: Up to 2 pets per dwelling – This means you can bring your furry friends with you! Quarterly Fee: Approx. $250 – This includes upkeep of the gardens and the insurance for the shared road. If you have any questions or want more information, feel free to contact Rob any time.